Come and see us! We are doing our best to get over the cold season and summon the time of short dresses, frilly things, and pastel colors! Every merchant offered a giftie too, so do not miss us! We are cuuuuute! Taxi here! From 2nd to 10th February, we are celebrating the 9th Anniversary of our sales group. We want to thank you all from the bottom of our little merchant hearts for your continuous support, and we gathered 60 stores in one place to offer you their 30L wares along with their best creations. Thank you, thank you, 1000 times thank you for being here with us through these amazing years of change and challenge. From 24th October to 2nd November, join us for the Halloween edition of the Vintage Gacha Fair! Trick, treats, 30L offers, 50% off items and the best gachas from the most important events of the past! From 6th to 20th September, The 20th edition of the Vintage Gacha Fair! The most popular gacha machines from the past events of the grid, 30L items and 50% off deals! Every merchant is offering a gift! Come and see us in Second Life! From 16th to 30th July, we’ll have the best gacha machines from the most popular events of the grid, 30L and 50% off deals and many gifts! This weekend we have REDEUX, with many deals and gifts! 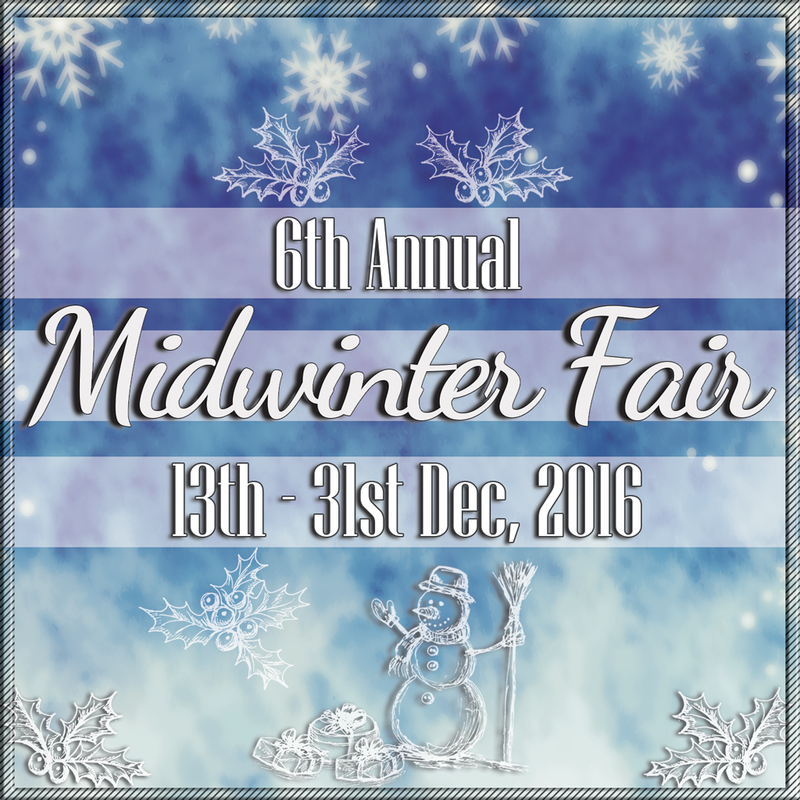 The 6th Midwinter Fair is waiting for you! Come and see us! 50 main creators are showing their best wares, with new releases, gachas and discounted items. Do not forget to grab your gifts while you are here! Sponsored by: Black Jack, Faida, Fallen Gods Inc., Junbug, Les Encantades, Oxide, Sweet Kajira, Velvet Whip.